The results of the Brexit referendum in 2016 had an immediate and unsettling personal impact on the millions of European workers who consider the UK their home. The UK Government has unilaterally guaranteed the rights of any EU national resident in the UK by 29 March 2019 (no-deal Brexit) or by 31 December 2020 (withdrawal agreement Brexit) to settle indefinitely in most circumstances. This should have been enough to allay the fears of EU nationals but employers often ask us how they can provide support to their staff through a stressful time. This is an incredible opportunity for employers to generate goodwill and assist their employee retention efforts as labour shortages loom. It does not have to be costly and a little effort can go a long way. Communication remains key in any organisation as there is a fair amount of misinformation and alarmist stories circulating. We often hear of EU nationals who have been resident in the UK for decades having their applications for residence documentation refused or rejected. Digging deeper into these stories, one can see that there has been a Home Office error or the application was not made correctly. I often read social media comments and articles which claim that EU nationals will not be permitted to stay despite the Government's clearly stated policy to the contrary. Employers can help calm nerves by providing information on how EU nationals will be able to register their residence in the UK and stay longer term. We cover these rights and requirements in more detail here and recommend you tailor communications to your business to ensure your employees have complete clarity. Going further, other employers have held town hall sessions, online webinars, conference calls or made podcasts which explain EU employees' right to remain and answers questions. Many people are concerned about their families and how current and future children will be affected in particular - it is useful to hear as well as read that the UK is committed to allowing EU nationals to remain if they wish. Employers that engage tend to be good employers and employees take notice. The gold standard is to provide active assistance with the EU Settlement Scheme which is due to open to applications from March 2019. This could involve providing drop-in sessions where trained staff or your lawyers can assist with the applications using a secure Android phone (the app for assisting with applications under the Settlement Scheme is not available on iPhone) or offering to pay for legal assistance and make applications on their behalf to ease the administrative burden. For most people, professional legal assistance is unlikely to be required but some circumstances might be a little more complex, for example where non-EU family members are involved. Heathrow Airport has announced that they will cover the £65 application fee for their 350 EU employees which is sure to generate a tremendous amount of goodwill (and positive headlines). Employee resignations costs a business enormously in terms of hiring and training of replacements, the risk of the domino effect on other employees and the drop in productivity. Heathrow has calculated that £65 is a price worth paying to avoid disruption to their business and help their staff. As Brexit day looms, we expect more employers to announce similar initiatives. 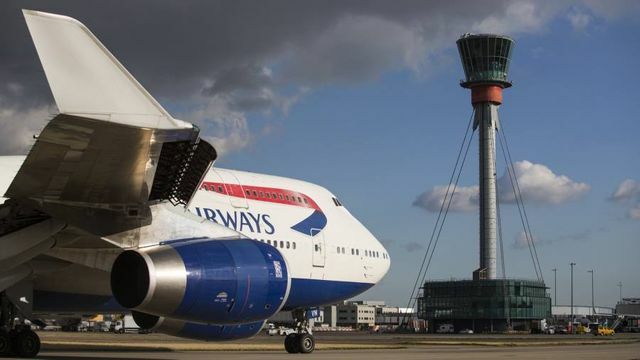 Heathrow airport will pay for its 350 eligible employees who are non-British EU nationals to apply for the right to remain in the UK after Brexit in order to provide them with some certainty. Smart, smart move by Heathrow.